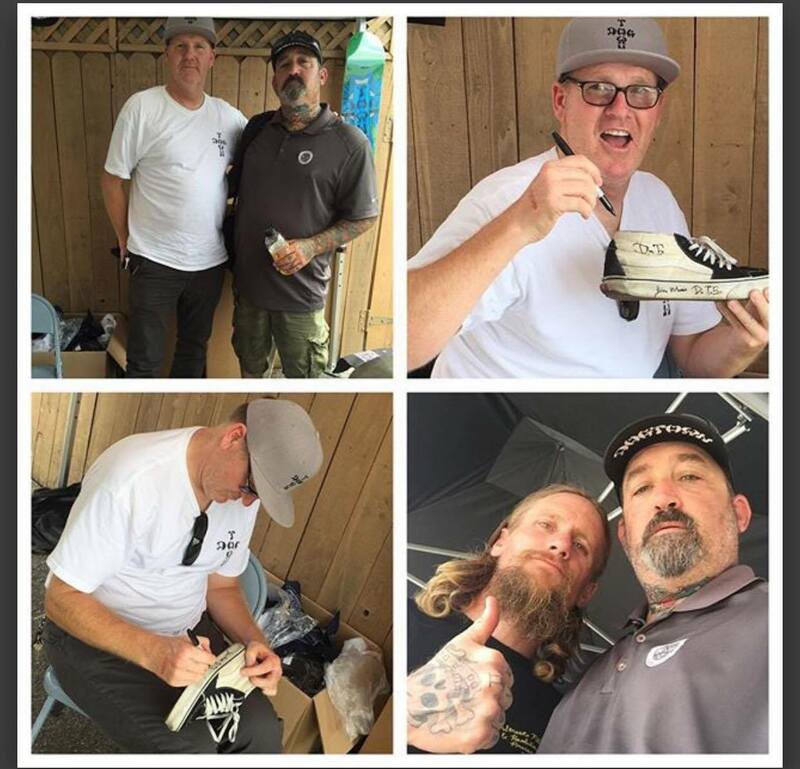 I’ve had the pleasure of getting to know and skate with Dan Paone recently, but his history with ABF Skate Shop runs much deeper than that. If you shopped ABF in 1990 or 1991, Dan may have helped you. Dan worked at ABF then and even drew up some of our sticker designs from that era. Dan drew this up for ABF in the early 90s! Dan is 44 years old, married, and father to 3 girls. 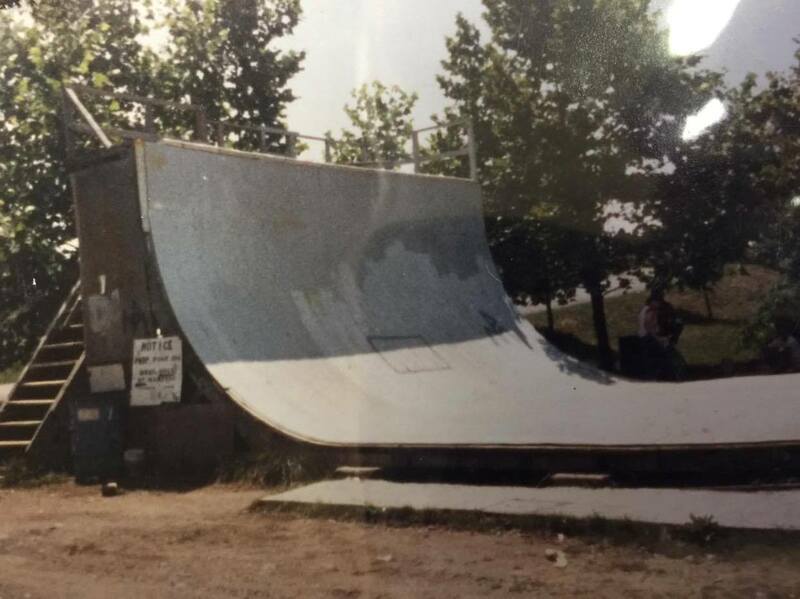 He started skating way back in 1979, learning first on vert on a 13’ high monster called Public Menace out in Pennsylvania. 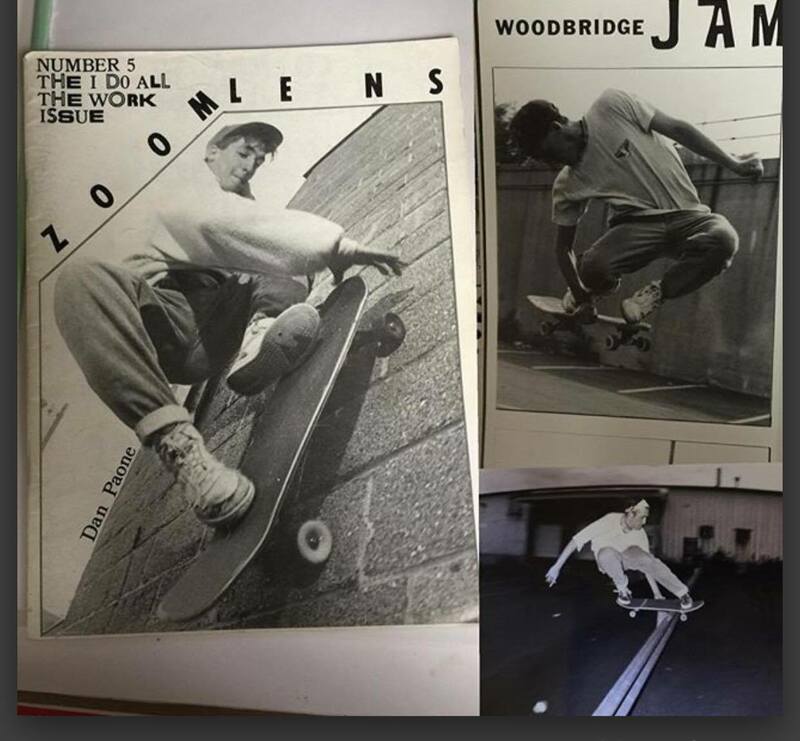 Later on he moved to mini-ramps and street and, while adulthood and work may have slowed him down on the board, he never stopped skating and certainly never stopped identifying as a skateboarder. To that point, he named his first daughter Indy after both the trick and the truck company! Dan says he’s always been an artist and that art runs in his family. He cherishes some drawings he has of his grandmother that were drawn by his grandfather during World War II. 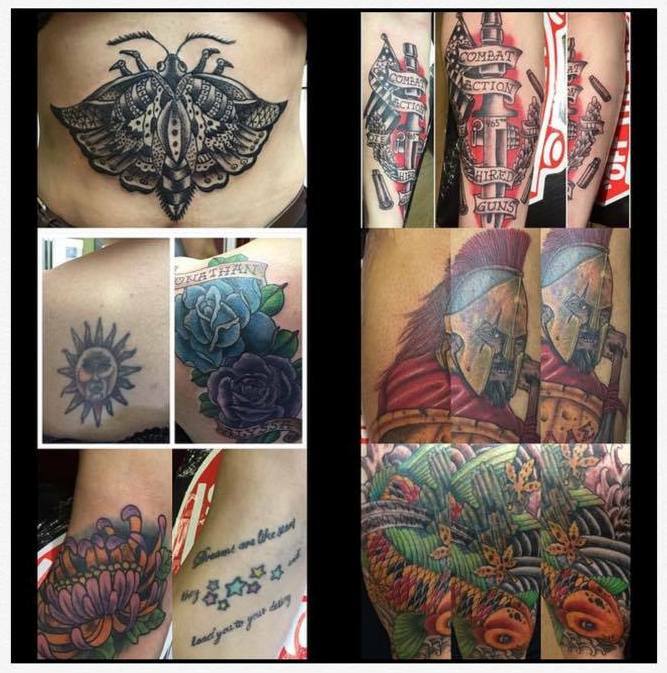 He started his tattooing career in April of 1996, so this month he is celebrating 20 years in the business. While all his uncles have tattoos, Dan thinks he probably wouldn’t have become a tattoo artist without the influence of skateboarding. Guys like Salba, Dwayne Peters, the Godoy brothers, Mike V., and Jay Adams all were inspirations to him to take it on as a career. Recently Dan, like myself, has gotten serious about skateboarding on a more regular basis. 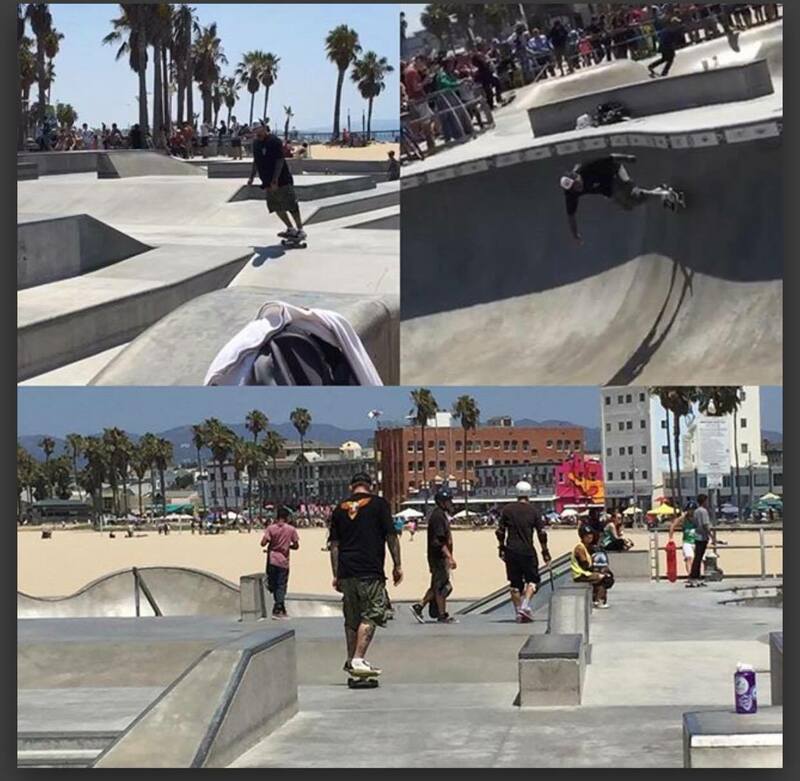 An August 2015 trip to Venice Beach, California—Dog Town—was motivating to him, where he skated their famous skatepark and spent time with Mike V. and met Dog Town skateboarding legend Jim Muir. This led to me getting to skate with Dan at Jump Street Skatepark in December, and on the first ABF Skate Trip to 2nd Nature Skatepark in January. 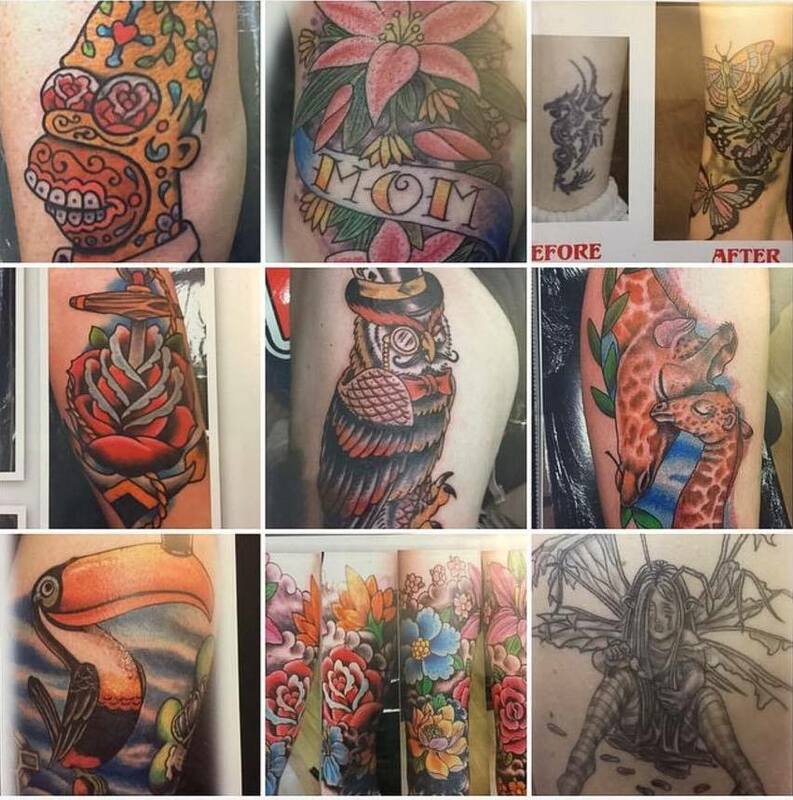 So if you or your friends are looking to get tattooed, go see Dan at Slingin ‘ink Tattoos on Arnold Avenue in Point Pleasant Beach, and please follow him on Instagram @DanPaone and on facebook, where you can check out his work. ⟵“Here We Are” Photo Show this Saturday!